“Welcome to ISISville! 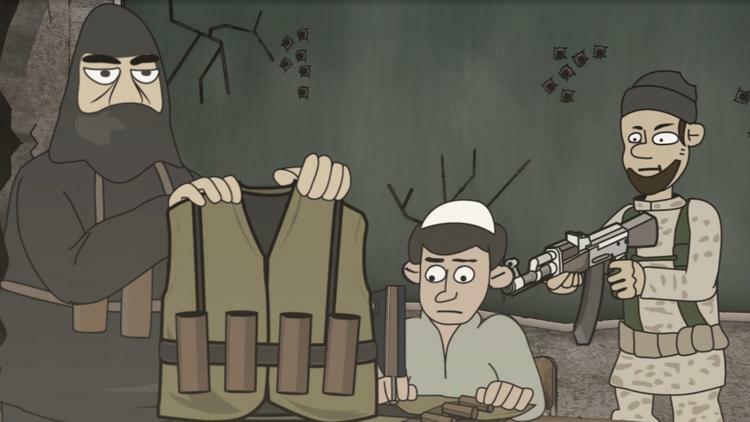 The animated series that examines life under the Islamic State of Iraq and the Levant! You’ve read the headlines. So you know ISIS is growing in power as the terrorist organization murders thousands of innocent Muslims as it tightens its stranglehold on parts of Iraq and Syria. In this episode, your tour guide explains why the world’s 1.2 billion peaceful Muslims should give up learning and instead be educated by terrorists. Forget maths, science and computer programming. The ISISville curriculum includes chemistry (to make bombs), electrical engineering (to make bombs) and sewing (to make bombs).